Wild Oyster mushrooms are called ‘Kalmakha’ in Georgia and grow on the bark of trees. They look, smell and taste like oysters and are a popular appetizer in Georgia. 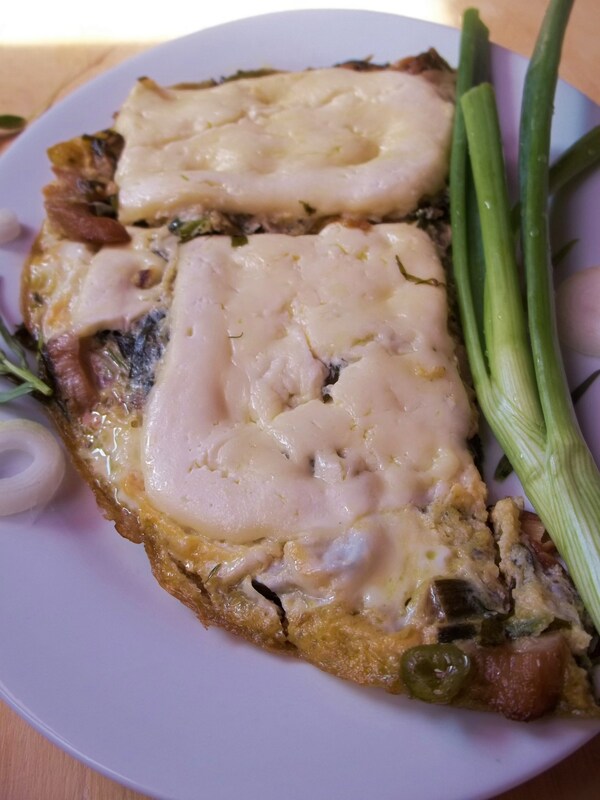 In this family breakfast recipe we show how to prepare wild oyster mushrooms with tarragon and Imeretian cheese. 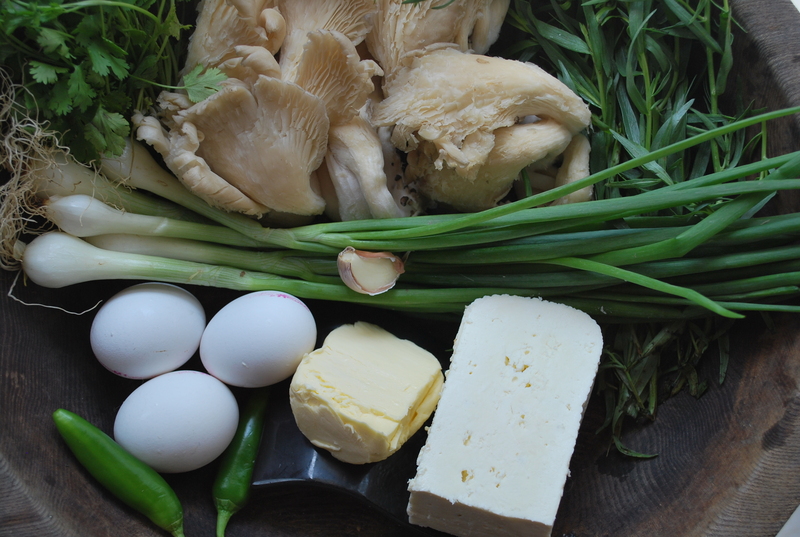 Ingredients: 400 grams of Oyster Mushrooms, 30 grams of tarragon, 20 grams of fresh green coriander, 1 clove of garlic, 3 eggs, 150 grams of new Imeretian cheese (mozzarella can be used), 2 hot green peppers, 70 grams of butter, 1 tbs of oil, and salt (amount dependent upon personal preference). Preparation: Wash the mushrooms and then tear into pieces. Chop the green onions. 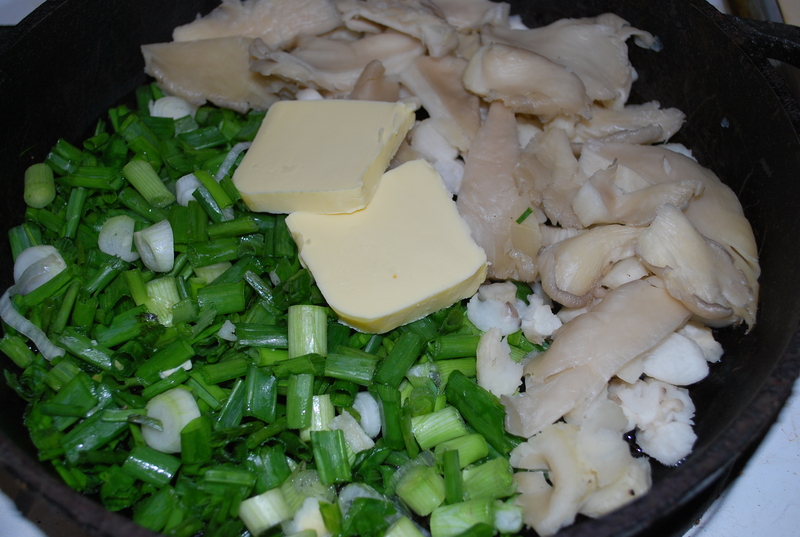 Add the mushrooms and onions to a pan together with 70 grams of butter and 1 tbs of oil. 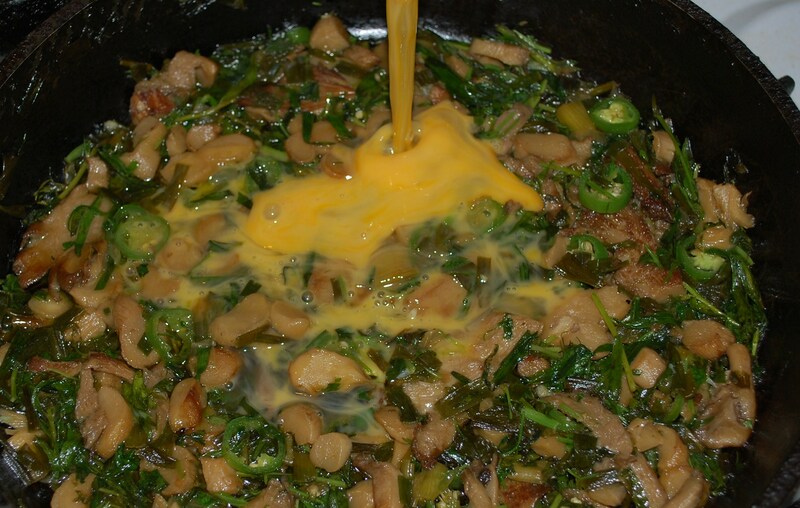 Cover and fry on a low temperature, stirring occasionally, until the mushrooms are cooked. Strip the leaves and soft parts of the tarragon (usually the top part). Finely chop the fresh green coriander. Slice the green peppers. Crush the garlic. 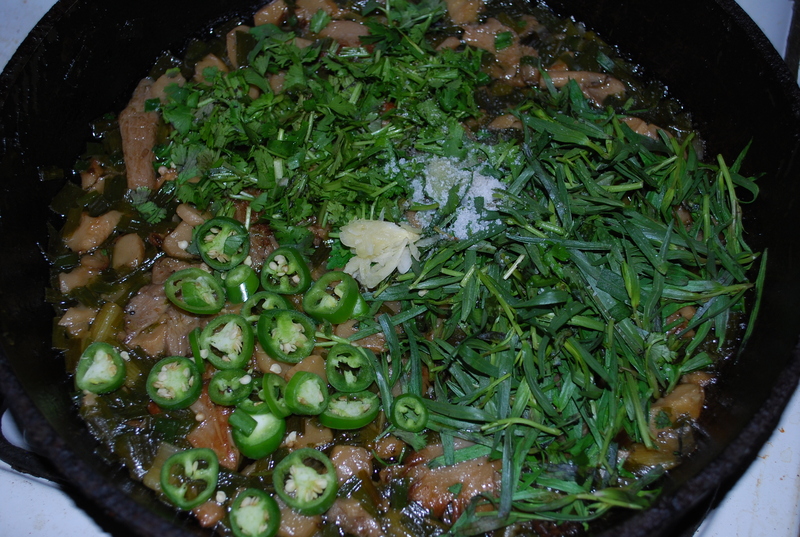 Add the prepared tarragon, coriander, green peppers and garlic to the pan, together with a little salt. Stir thoroughly and continue to cook (covered) on a low heat for 2-3 minutes. 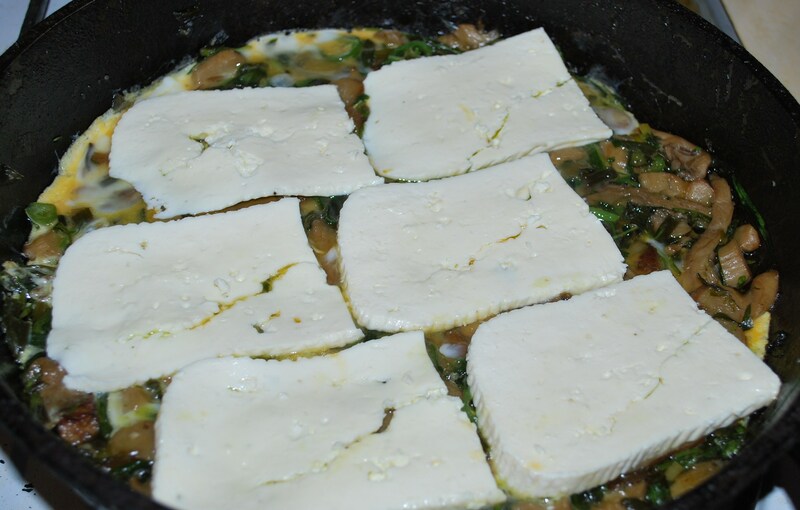 Beat the eggs and add to the pan. Do not stir. Cover and cook on a low heat for 1 minute. 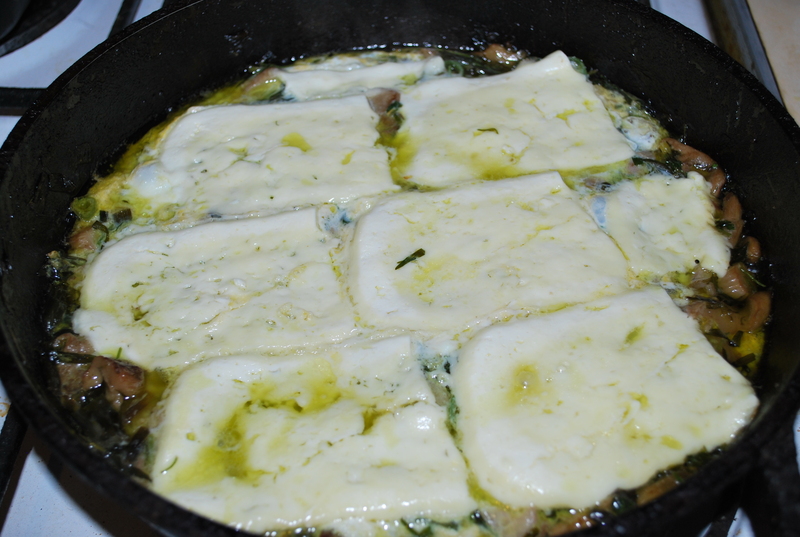 Slice the cheese and add to the pan. Cover and cook for 2 minutes on a low heat and then remove from the heat. 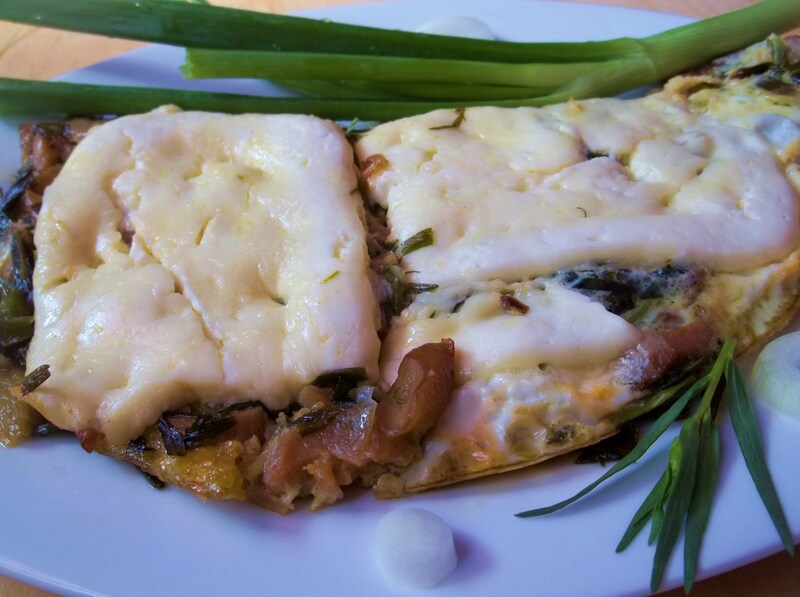 Enjoy your Mushroom and Tarragon Tapamtsvari!